The new displays are up all around the school. 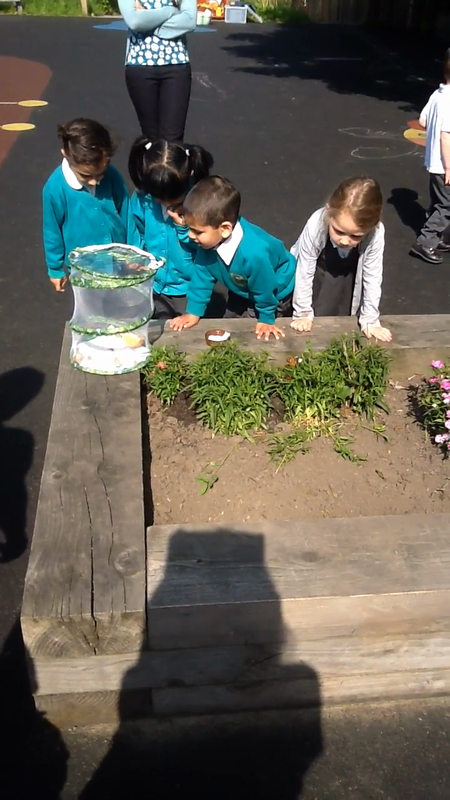 Miss Hyland releasing the butterflies. 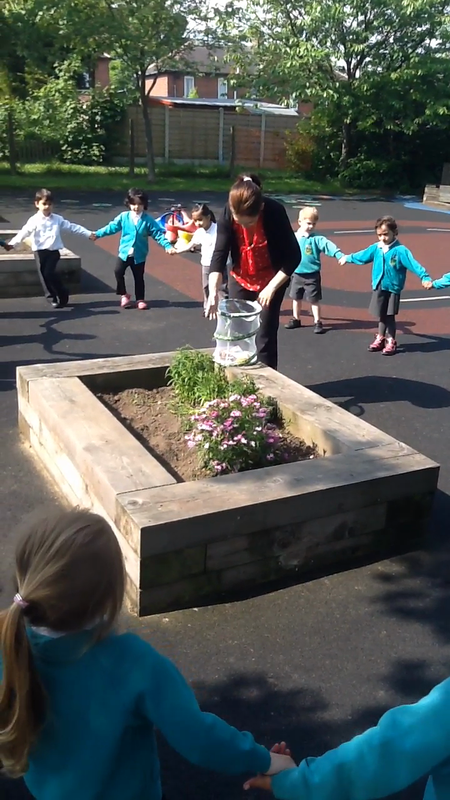 Miss Hyland and the children releasing the butterflies.